There are many ways to make your garage door a more secure entrance to your garage or home, starting with making sure the door always stays closed. One of the best ways to do that is to set up a smart garage door controller system so you can remotely check on and control the garage door from your smartphone. Sounds too good to be true? It’s not with one of these devices; read on to find out which one is the right fit for your home. Whether you have a garage door with MyQ technology, a Wi-Fi enabled door, or even a garage door without any extra features, the MyQ products and app give you smartphone access to your garage door 24/7 from anywhere. MyQ is widely compatible and works with almost all brands of garage doors made after 1993 (check the compatibility list here). It is also compatible with a range of home automation services, including Nest products, Xfinity Home, and Wink. Plus, MyQ is the only garage door opener to integrate with Apple HomeKit. Depending on the type of garage door opener you have, you will need a different combination of devices. The MyQ Smart Garage Hub is for garage doors without MyQ technology or Wi-Fi. It comes with a Wi-Fi hub and one garage door sensor. You’d need to purchase additional sensors if you have multiple garage doors. 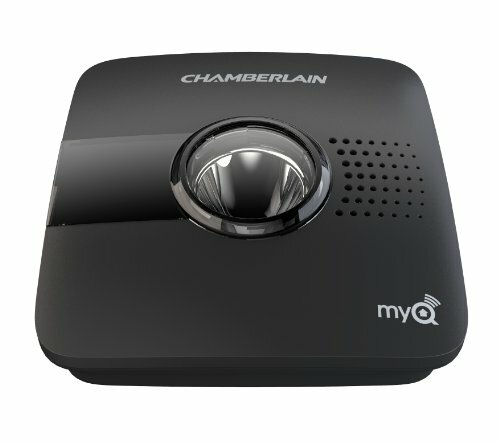 The MyQ Home Bridge is a Wi-Fi hub for garage doors with built-in MyQ technology but without Wi-Fi. For garage doors with Wi-Fi, the MyQ Home Bridge adds Apple HomeKit compatibility. Garage doors with both built-in Wi-Fi and MyQ technology only require you to download the MyQ app (for Android and iOS) to get started. From the MyQ app, you can view the status of your garage door, open or close it, see how long the door has been open, and grant access to other users. The app has high ratings from users and uses fingerprint recognition for extra security. One of our favorite features of the MyQ app is that you can customize notifications. You can also set up a schedule for closing the garage door. Competing products often lack these features, but they’re the features users look for and rely on the most. MyQ has a couple drawbacks worth noting. The biggest is that you can grant garage door access to up to only two people aside from the account holder. To grant access to anyone beyond the two users, they’ll have to be logged in to the main account and will have full access to the settings and controls. This has long been a frustration to MyQ users and may even be a dealbreaker for some. The other drawback is that while MyQ integrates with Google Home and IFTTT (if this, then that), both services require a subscription fee after a 30-day free trial. Ultimately, if you use Apple HomeKit, if you want to be notified when the garage door is left open, or if your garage door opener already has MyQ technology, MyQ is the way to go. Hub dimensions: 6.25 x 6 x 4 in. In addition to the features we’d expect from a Wi-Fi enabled garage door controller, the Gogogate 2 comes with some bonus features. For example, you can control your garage doors from a smartphone, tablet, computer, or even an Apple Watch with the free app (for Android and iOS). You can also receive real-time alerts about the status of your garage door, which you can’t always do with similar products. 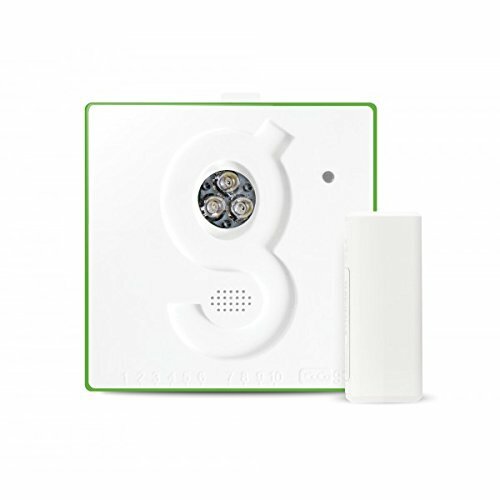 Our favorite feature is that the Gogogate 2 is compatible with most IP cameras, including Nest (see the full list here), for real-time video monitoring. While the Gogogate 2 doesn’t come with a camera, the company offers an indoor and an outdoor camera for sale, both of which have night vision and motion detection—again, not something we found with other garage door openers. If you use a camera with the Gogogate 2, you’ll need to sign up for a three-year subscription to the video plugin, which costs $29.95. With that subscription, all events are recorded in a calendar, a feature we didn’t find anywhere else. When it comes to granting guess access, the account holder can not only give other people access to the garage but also customize when and for how long that access is granted. You can even specify which garage door each person can open or temporarily revoke users’ privileges. We didn’t find this level of customization anywhere else. However, you can have only up to 10 users before you need to pay an additional fee. For those interested in the home automation aspect, Gogogate 2 has an IFTTT channel and integrates with Amazon Alexa for voice control. 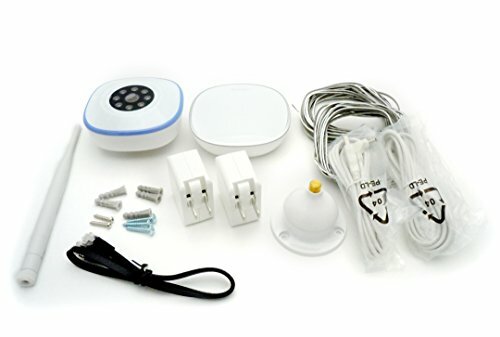 To integrate Gogogate 2 into a larger home system, you must be able to connect it to your home Wi-Fi signal, which seems to be one area where people often run into trouble. You may need a Wi-Fi extender to make sure the signal is strong enough in the garage. Another frustration for many users is the lack of customer support. Gogogate offers email customer support but has no customer support phone line. Dimensions: 3.75 x 3.75 x 1.5 in. The main strength of the Asante Garage Door Opener with Camera is that it has a built-in camera with night vision so you can visually confirm if your garage door is open or closed. It also provides a layer of security as you can view who is coming and going, especially if the door is operated unexpectedly. And unlike the Gogogate 2, the Asante doesn’t require you to purchase a separate camera or pay additional fees. The Asante Home Extender ensures that you’ll have a strong Wi-Fi signal in the garage, making installation a breeze. With the free smartphone app (for Android and iOS), you can open and close your garage door any time you have a Wi-Fi connection. One drawback, however, is that you need to purchase a garage door sensor separately (available on Amazon). While not required to remotely open and close your garage door, it is required if you’d like to receive automatic notifications about the status of the door. You can choose between email, text, or push notifications on your smartphone. The Asante Garage Door Opener controls up to two garage doors, which is fewer than some of the other products on this list, but certainly sufficient for many homes. And like with similar products, you can share access to the garage with friends and family and revoke access at any time, though there are no customization options. The largest drawback is the lack of integration with other home automation platforms (such as Samsung SmartThings or Amazon Alexa) or communication protocols (such as Z-Wave). Asante doesn’t have an IFTTT channel, and while you can control all Asante products from the same app, there aren’t any automation options between products. So the Asante Garage Door Opener is best for those who don’t already have a home automation system or security system in place and want to reliably see and control whether the garage door is open or closed. 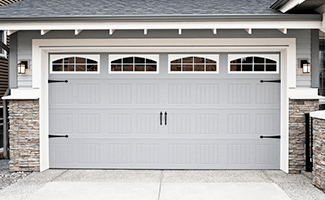 While most garage doors can become smartphone accessible with one of these products, a growing number of garage doors come with the technology built in, which may be a more viable option if your garage needs an upgrade. 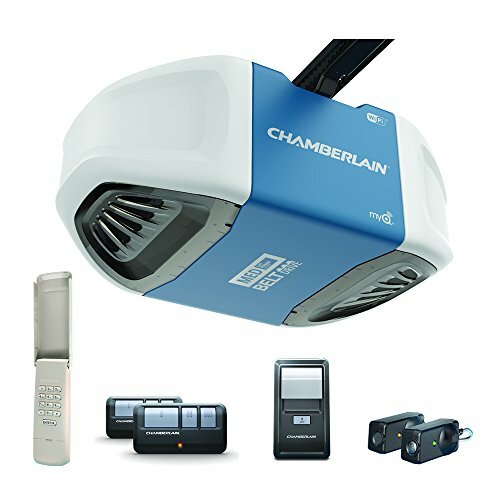 The Chamberlain B550 Ultra-Quiet garage door opener is our top recommendation for anyone looking to install a new garage door in their home. Like the name suggests, it’s powered by a super-quiet motor, and it’s equipped with anti-theft technology for an extra layer of security. Every entrance to your home should be secured, and the garage door is no exception. Adding a device to link your smartphone to your garage door opener offers both convenience and security and is easily doable with any of the devices on this list. Connecting your garage door to a home automation system, a security system, or even just to your phone is one more way you can keep your home and garage safe. Do you use a smart garage door opener? Tell us your favorite in the comments below.